Recognizable? After work do you not find the time to cook extensively? 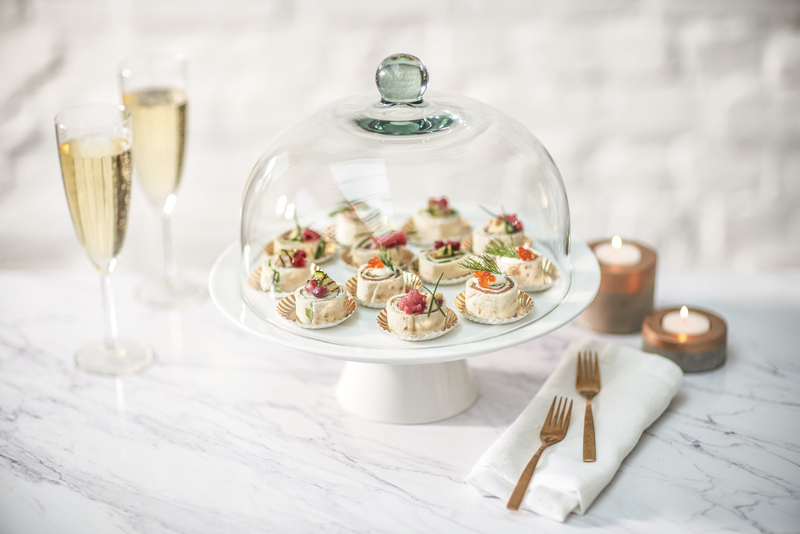 Or you will receive guests later and you want to surprise them with an original recipe. 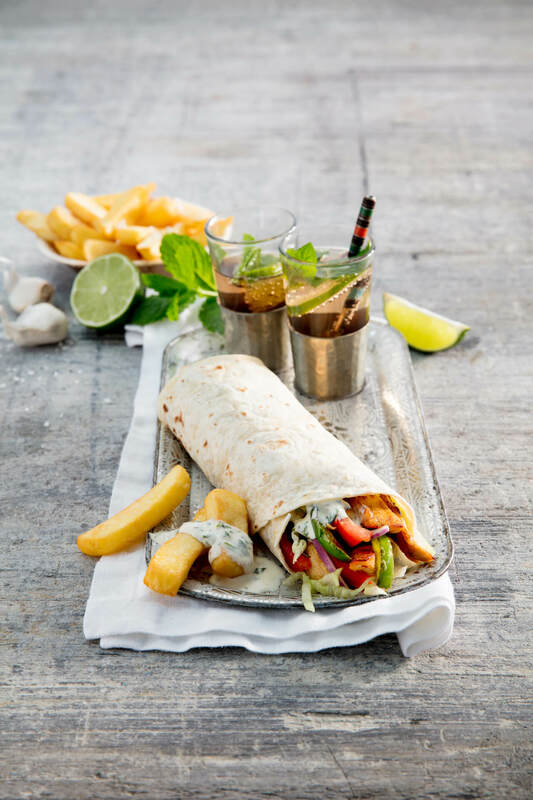 Do ‘loco’ and combine our products with a piece of meat, fish or even fruit. This way you ensure a complete and balanced meal with a ‘personal touch’. Make the truffle mayonnaise by adding a few drops of truffle oil to the mayonnaise. 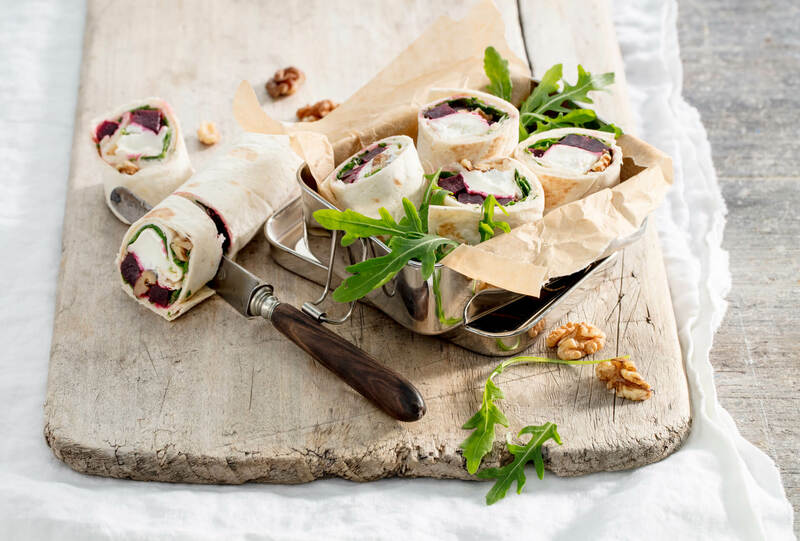 Spread a tablespoon of truffle mayonnaise on the wrap, and then cover this with rocket. Then place the carpaccio on top, sprinkle on the parmesan flakes and season with pepper to taste. Roll up tightly in aluminium foil and leave in the fridge. Spread one tablespoon of cream cheese on the wrap. Sprinkle the chopped chives on top. Season to taste with salt and pepper, and then place the smoked salmon on top. Roll tightly and leave in the fridge. Cut the courgette into long, thin strands. Coat with some olive oil and season with salt and pepper. Grill the courgette very quickly in a hot grill pan and leave to cool. Cut the pomegranate into two and tap a wooden spoon on the skin to get the seeds out. Spread a tablespoon of fresh goat's cheese on the wrap, then put the rocket on top and finally the courgette strands. Roll tightly and leave in the fridge. Take the wraps out of the fridge, remove anything coming out of the sides, and cut the wrap into pieces and garnish. Cut 2 green peppers, 2 onions, 2 green chilli peppers and garlic into large pieces. Place the vegetables on a baking tray, then sprinkle with oregano and olive oil. Mix so that the oregano and olive oil are divided equally over the vegetables. Roast the vegetables for 15 to 20 mins in the oven. Mix the vegetables to make a sauce, together with the cottage cheese, coarsely cut coriander, jalapenos, 4 tablespoons of olive oil and the juice of half a lime. Cut the chicken, the remaining green pepper and the aubergine into slices and fry in olive oil until the chicken is done. Sprinkle Poco Loco fajita spice mix on top, and mix with 6 spoonfuls of salsa verde. Cover the base of an oven dish with salsa verde. Put a bit of sauce to one side of a tortilla, put some filling in the middle and roll the tortilla up. Repeat with the remaining tortillas and place them in the oven dish. 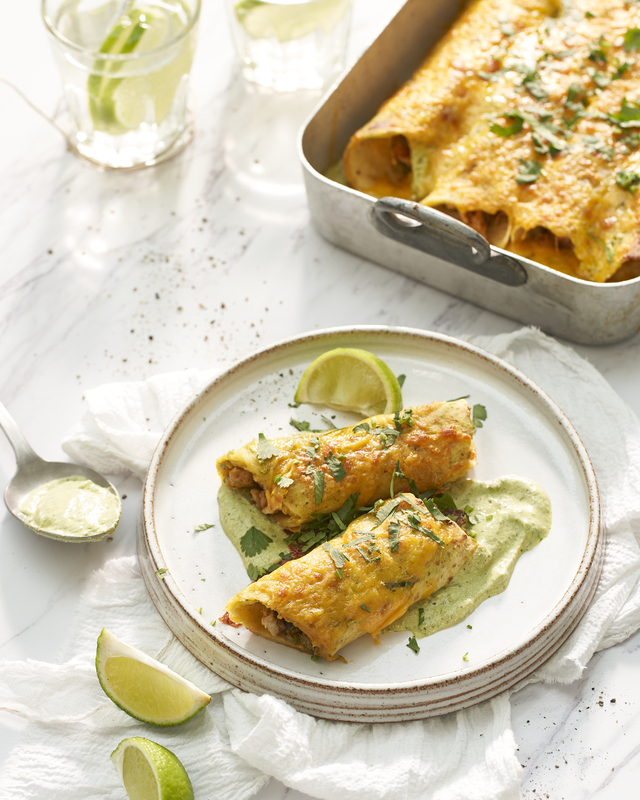 Coat the enchiladas with the rest of the sauce and sprinkle cheddar on top. Bake in the oven for about 10 minutes at 180°C. Brunoise the mango. Finely chop the shallot and coriander (keep some coriander stalks to one side for garnish). Mix everything together with a bit of lime juice, and season with salt to taste. You can also add some slices of chilli if you wish. Chop the sweet peppers into slices, the onion into rings, and finely chop the chilli pepper. Fry the scampi in a bit of olive oil for a short time and season with 1 tablespoon of the spice mix. Take the scampi out of the pan. Then fry the sweet peppers, onion and chilli pepper in some oil and sprinkle the rest of the spice mix on top. Juice 1/2 lime and add the juice to the pan. Put the scampi back in the pan and stir. Turn the hob off. Warm the gorditas (sprinkle the gorditas with water. Cover them and warm up for 1 minute in the microwave oven at 750W or in a preheated oven at 200 °C). 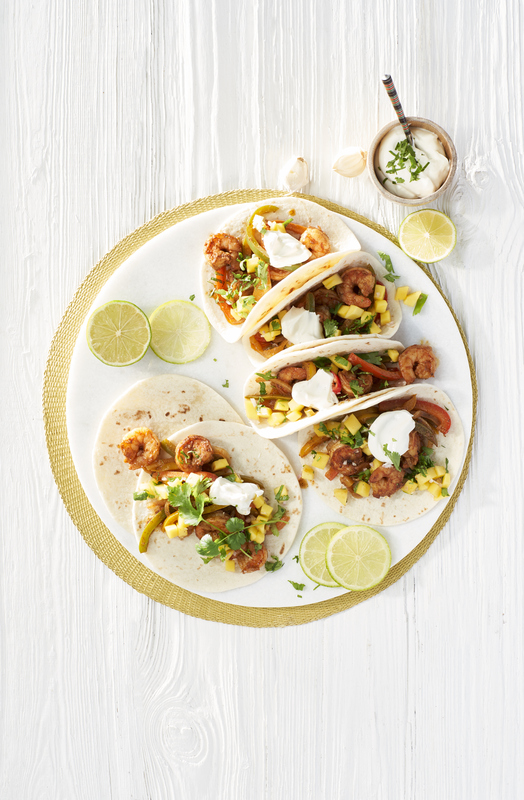 Serve the mix of scampi, peppers and onion on a gordita, and finish with the mango salsa, fresh coriander, sour cream and extra slices of lime, according to taste. Cut the crab sticks and white fish into small pieces, add the finely chopped sweet pepper and onion, and mix with the beaten eggs and cream. Season to taste with crushed garlic, paprika, pepper and salt. Fold the flour into the batter and add freshly chopped coriander. Heat a skillet with some oil or butter, scoop a tablespoon of the batter into the skillet and fry until golden brown. You can fry several crab cakes at the same time. Then put the cakes into the oven at 200°C for 10 minutes. Also bake the taco shells in the oven in accordance with the instructions on the packaging. 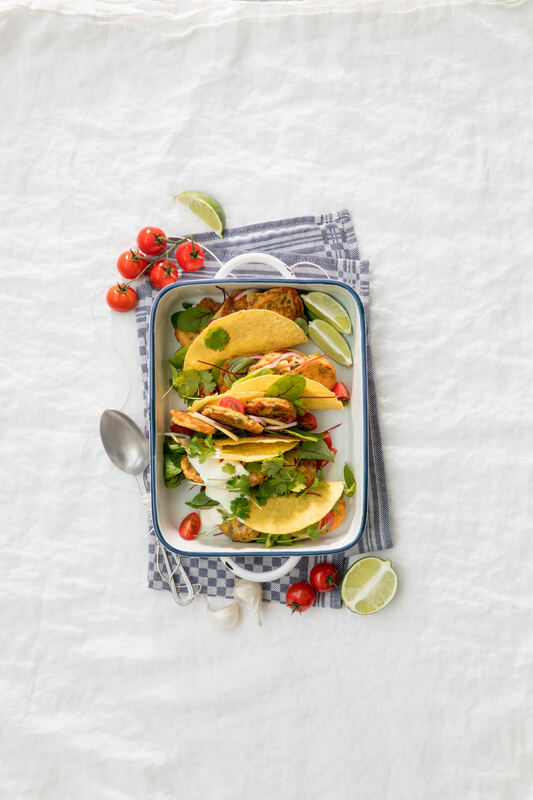 Fill the taco shell with lettuce, avocado, tomato, red onion, crab cakes, sour cream or tartar sauce. Serve with a wedge of lime and coriander for additional flavour. Brush your wrap with mustard vinaigrette. Cut the beetroot into small dice and put them on the wrap. Add some goat cheese and top with rocket salad and walnuts. Now roll the wrap firmly. Stew the apples with a tablespoon of butter and add sugar to taste. Spoon one fourth of the apple filling in the middle of the tortilla wrap and fold in opposing edges. 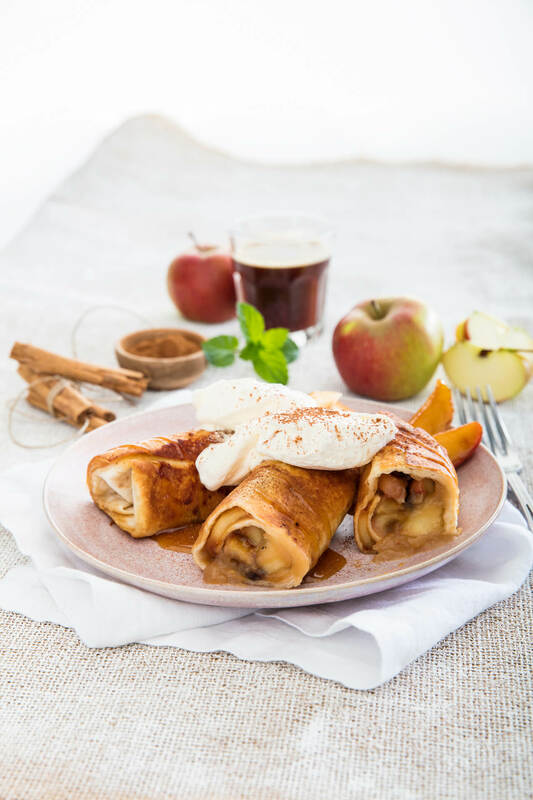 Place the apple packages or chimichangas on the seam in a buttered oven dish and brush the top lavishly with melted butter. Sprinkle with sugar and a pinch of cinnamon and bake for 10 minutes at 200°C. Tip: Serve hot with whipped vanilla cream or a scoop of vanilla ice cream. Stew the onion together with the sweet peppers, garlic and red chili. Fry the beef mince. Add the Poco Loco burrito sauce as well as the finely chopped tomatoes and leave to simmer for 20 minutes. Add the drained beans and maize to the meat, stir and bring to the boil again. Chop the coriander, stir into the chili con carne and pour into an ovenproof dish. Crumble the chips and mix with crumbled blue cheese and the grated cheddar cheese. Top the chili con carne with a thick layer of this mix. Bake for about 8 minutes at 200°C until golden brown on top. Add the drained beans and maize to the meat, stir and bring to the boil again. Chop the coriander and mix with the meat. Heat the tortilla wraps (Sprinkle the tortillas with water. Cover them and warm up for 1 minute in the microwave oven at 750W or in a preheated oven at 200 °C). 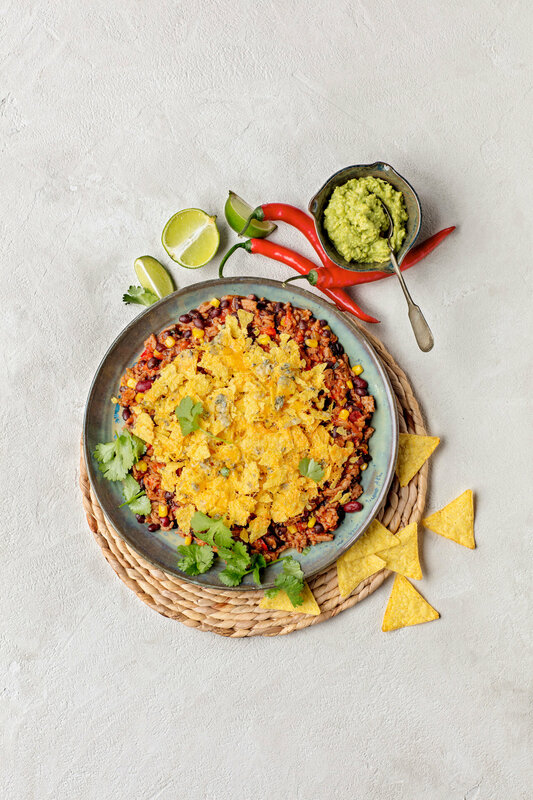 Put some tablespoons of filling on the tortilla wrap, sprinkle with a bit of cheese and add some more tomato cubes and coriander. Fold the burrito and you are ready to eat. Serve the burrito with sour cream and Poco Loco sliced jalapeños to add some zest. Press the wraps down into a +/- 12 cm diameter mould, for example an ovenproof soup bowl. Pour dry rice in the mould to maintain the shape and bake in a preheated oven at 180°C for 5 minutes. Remove the rice and leave the mould to cool. Drain the beans and maize in a colander. Dice the sweet peppers and tomatoes, and cut the red onions into fine rings. Cut the avocados in half, stone, peel and dice. 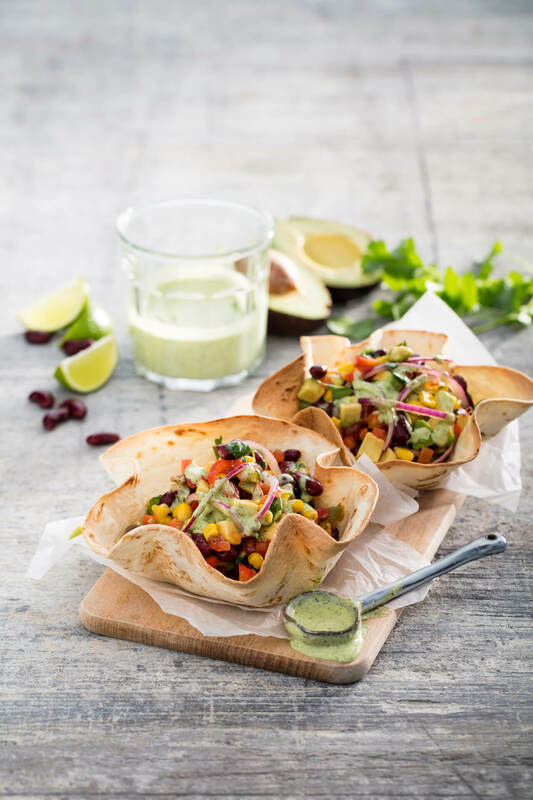 Set one tablespoon of diced avocado aside and pour it into the blender together with lemon juice, mayonnaise, one tablespoon of chopped coriander and a few jalapeño slices to taste. Mix until a homogeneous product is obtained. Mix all ingredients: cheddar cheese, spring onions, coriander and red chili pepper, and add herbs and spices to taste. Spread the filling over four tortilla wraps and put another tortilla wrap on top. Fry the quesadilla in the skillet, on the grill or on the BBQ on both sides until the cheese is melted. 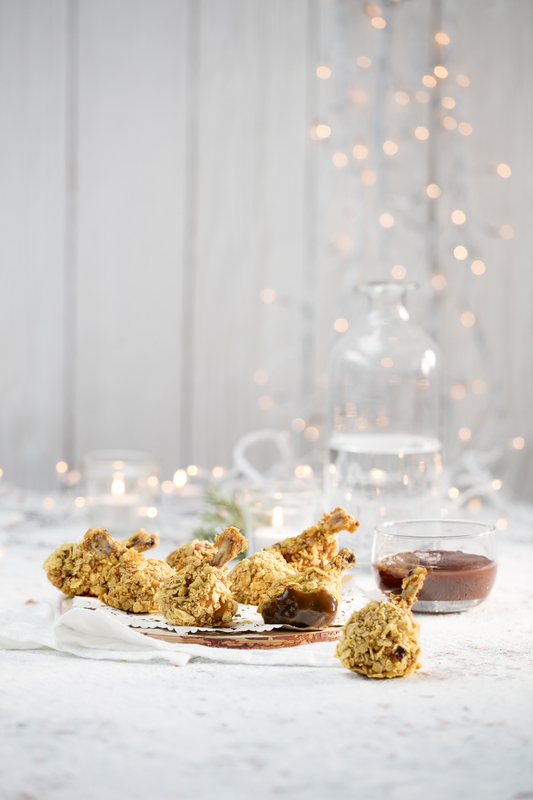 Tip: add shrimps or bits of fried chicken for a festive filling. Stone, peel and mash the avocado. Mix the avocado with the Poco Loco Mexican Guacamole spice mix. 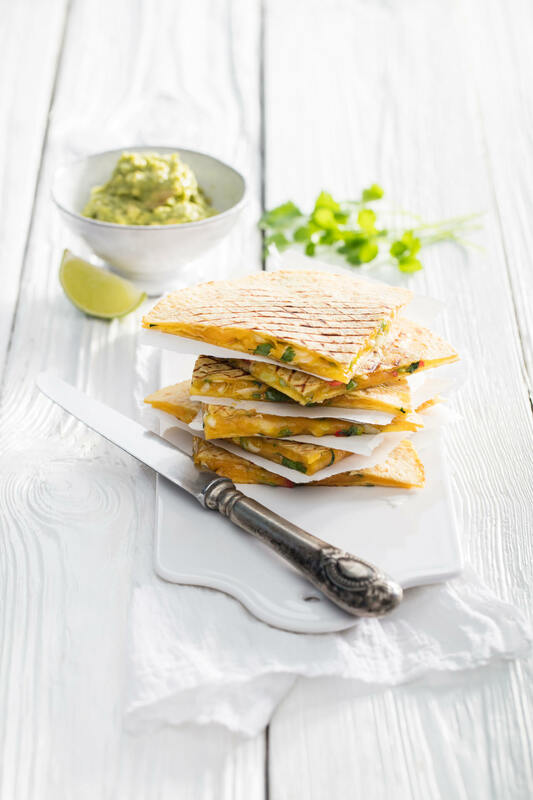 Cut the quesadilla into pieces and serve with the guacamole and lime wedges. Cut the onion and sweet pepper into fine pieces. Fry together with the chicken strips and one crushed clove of garlic in one tablespoon of olive oil. Season with cumin, chili powder, paprika and coriander, and fry until the chicken is done. Mix sour cream, mayonnaise, crushed garlic, a pinch of chili powder and salt for the sauce. Add chopped mint and parsley to taste. 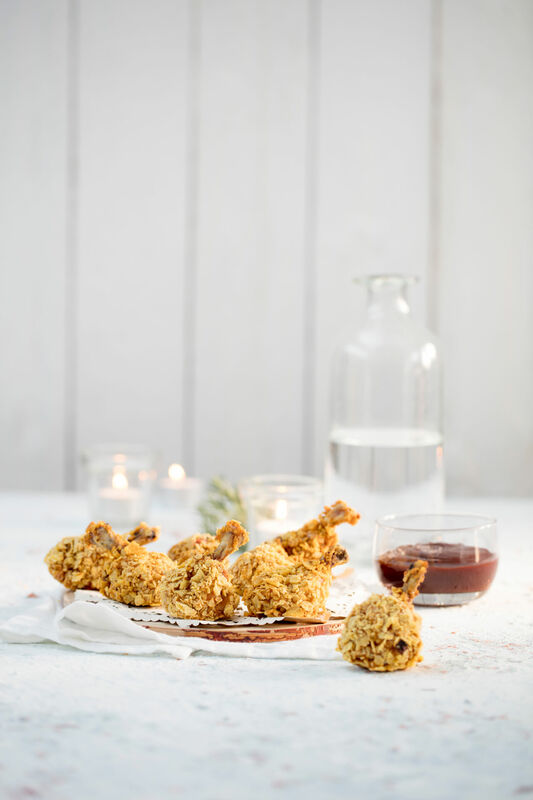 Coat the dürüm with a tablespoon of sauce and add the fried chicken. Finish with iceberg lettuce or white cabbage and tomato. Roll the dürüm firmly and serve with French fries and additional sauce. 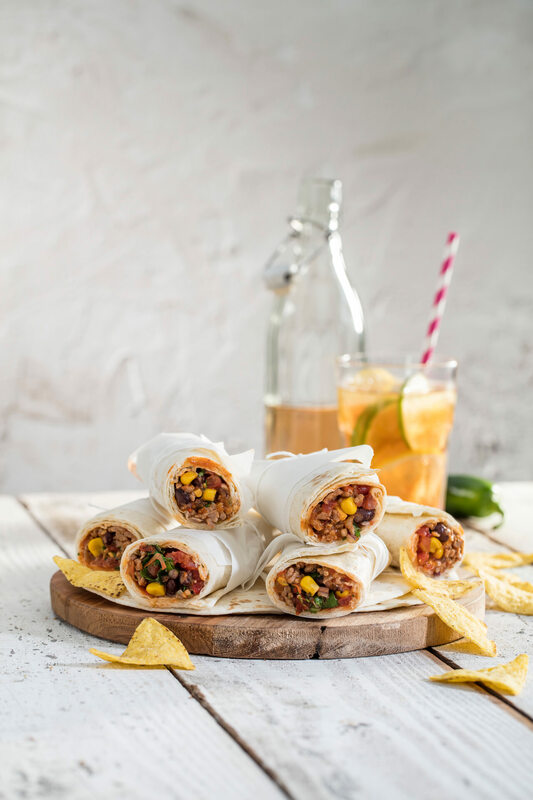 Distribute all ingredients over the four wraps. Start with the cheese, top with some fruit and sprinkle with granola. Finish with honey and possibly some mint leaves. 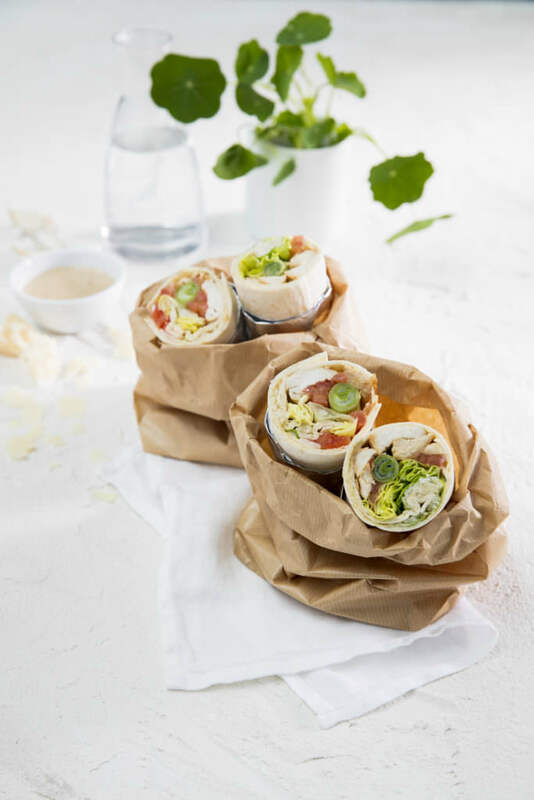 Roll the wrap firmly and serve. 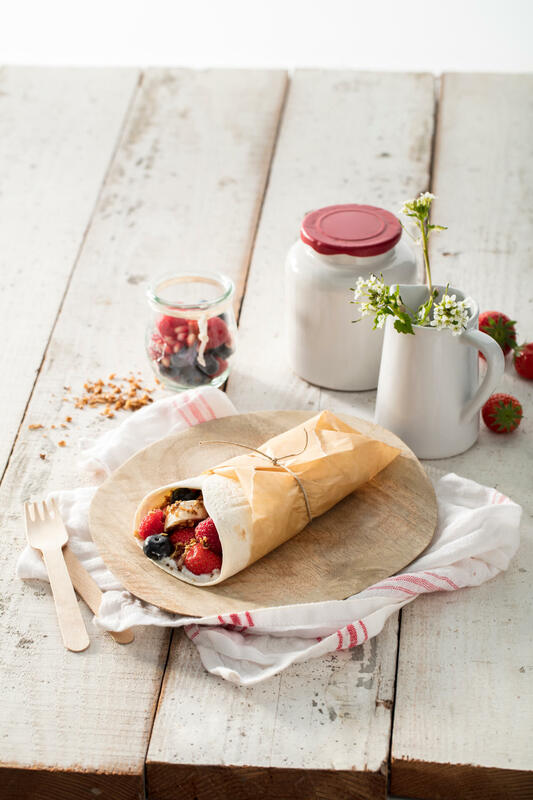 Or wrap in foil for a nice and healthy on-the-go breakfast. Combine the flour with half of the Poco Loco fajita spice mix. Beat the eggs and mix with the rest of the spice mix. Then crumble the tortilla chips. Coat the chicken wings with flour, the beaten eggs and the crushed tortilla chips in that order and put them in an oven dish. Bake for 10 minutes in a preheated oven at 200°C. Check if the chicken wings are done and serve with Poco Loco barbecue dip. Mix the mayonnaise, mustard and garlic, and add the strips of fried chicken fillet. Season to taste with salt and pepper. Put one fourth of the mix in the middle of a wrap. Roll firmly with some Parmesan shavings, head lettuce, diced tomatoes and spring onions on top. Cut into two halves and serve! Mix the strips of meat in a spoonful of oil and half of the Poco Loco taco spice mix and leave to marinate. Chop the tomatoes into cubes and mixed with chopped coriander and one finely chopped onion. Sprinkle on some lime juice and season with salt and pepper to taste. Finely chop the other onion and crush the garlic. Cut the sweet pepper into cubes and the chilli pepper into thin rings. Fry the meat on a high heat for a short time. Take the meat out of the pan and put to one side. Put the onion, garlic, chilli and sweet pepper into the pan. Add some olive oil if needed. Pour the pot of Poco Loco taco sauce into the pan. Then add the rest of the spice mix and leave to simmer. Add the meat and the drained beans, mix well and turn the hob off. Warm the Poco Loco gorditas (Sprinkle the gorditas with water. Cover them and warm up for 1 minute in the microwave oven at 750W or in a preheated oven at 200 °C). Put 2 tablespoons of filling and 1 tablespoon of the tomato salsa on top of the gordita. Finish with a tablespoon of sour cream. Fry the chicken strips briefly in some butter or oil. Cut the peppers into strips and the onions into rings, and add to the meat. Now add the Poco Loco fajita spice mix and stir-fry until everything is done. Heat the tortilla wraps (Sprinkle the tortillas with water. Cover them and warm up for 1 minute in the microwave oven at 750W or in a preheated oven at 200 °C). Coat with some tablespoons of fajita sauce, top with the fried chicken and vegetable strips and fold. 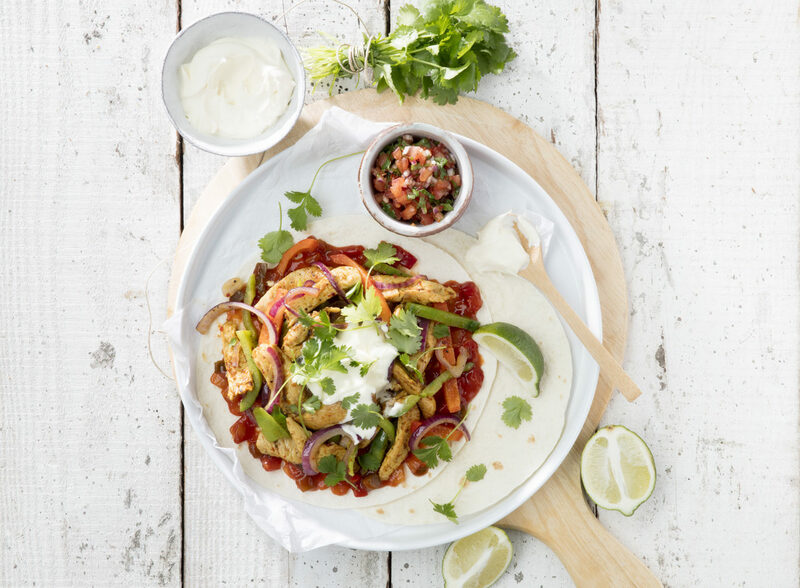 Serve the fajitas with sour cream, tomato salsa and fresh coriander. 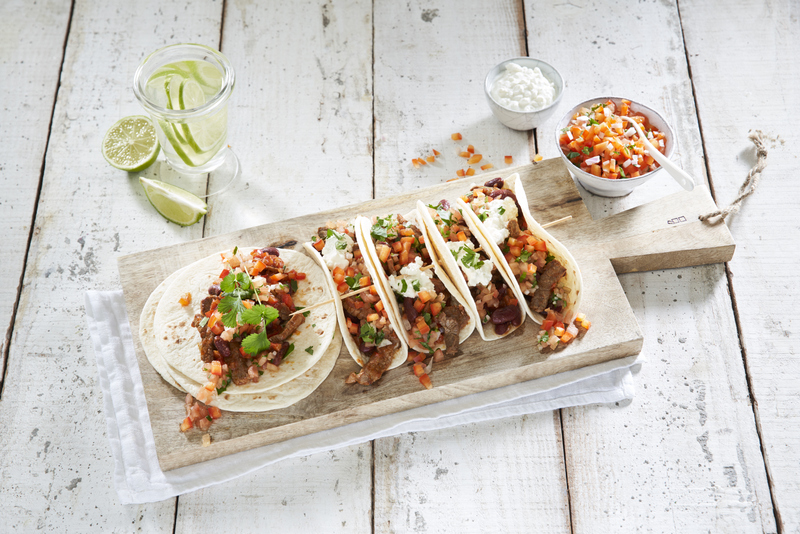 Or save yourself time and trouble with the Poco Loco fajita dinner kit. Cut the courgette into slices. Coat the slices with some olive oil and fry them quickly in a griddle pan. Grease a 20cm springform tin and put baking paper on the bottom. Put one tortilla into the tin. 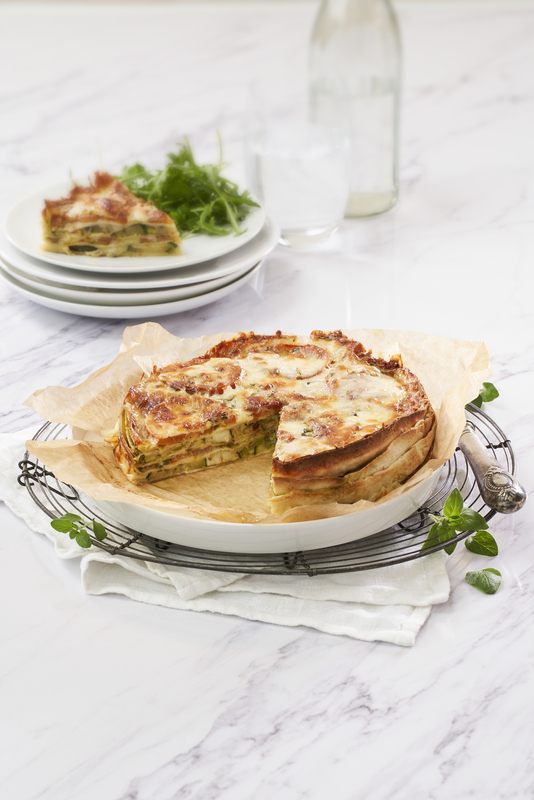 Coat with a bit of pesto and alternately stack the courgette and tomato slices on top. Season with salt and pepper, and sprinkle on a generous helping of cheese. Repeat with the other three tortillas and finish with slices of tomato. Finally, sprinkle some more cheese on top, followed by some dried oregano. Put the tart in a preheated oven (190°C) for 15 minutes. Serve the tart with a rocket salad. Make a dressing with the houmous, mayonnaise, yoghurt, maple syrup and lemon juice. Season with salt and pepper to taste, and finish with chopped coriander. Quickly blanch the kale in boiling water. Drain off the boiling water and wash the kale in cold water straight away. Leave to drain. Roast the pine nuts in a pan and put them to one side. Then quickly fry the falafel in low-fat oil. Drain on kitchen paper. 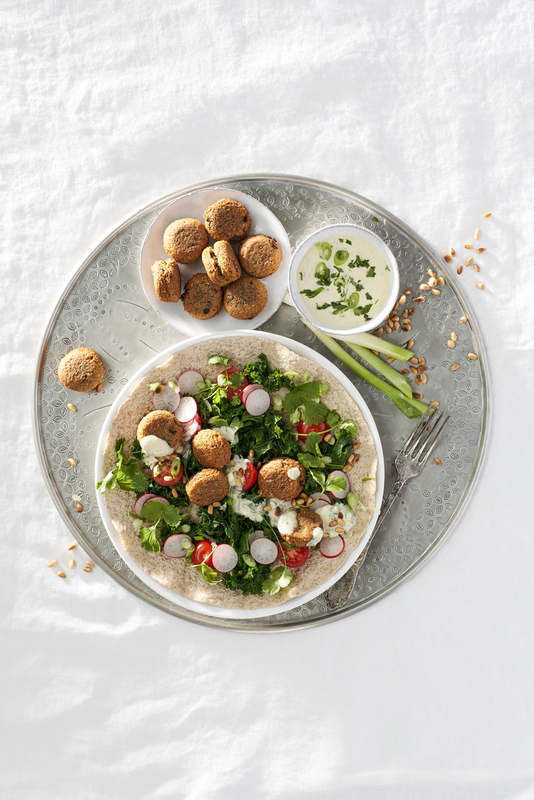 Put a handful of kale on the wrap, followed by the cherry tomatoes, radishes, spring onion, falafel and pine nuts. Add the dressing on top and roll the wrap up tightly. Chop the onions, garlic and chilli peppers. If you don't want the soup to be too spicy, remove the chilli pepper seeds. Cut the tomatoes and sweet peppers into cubes. Put approximately 1/3 of the sweet pepper cubes to one side. Stew the onions and garlic. Add the pepper, tomatoes and Poco Loco taco spice mix and fry for another 5 minutes. Add 1 to 1.5 litres of water and the stock cubes, and leave to simmer for 5 to 10 minutes. Stir the soup until it is smooth, and then add the remaining sweet pepper cubes, the Poco Loco chili beans and the sweetcorn. Leave to simmer for a further 5 minutes. Finely chop the coriander and add to the soup. Season well with salt and pepper. Finally, slice the Poco Loco corn tortillas into long, very fine strips (julienne cut) and fry them in a bit of olive oil until they are golden. 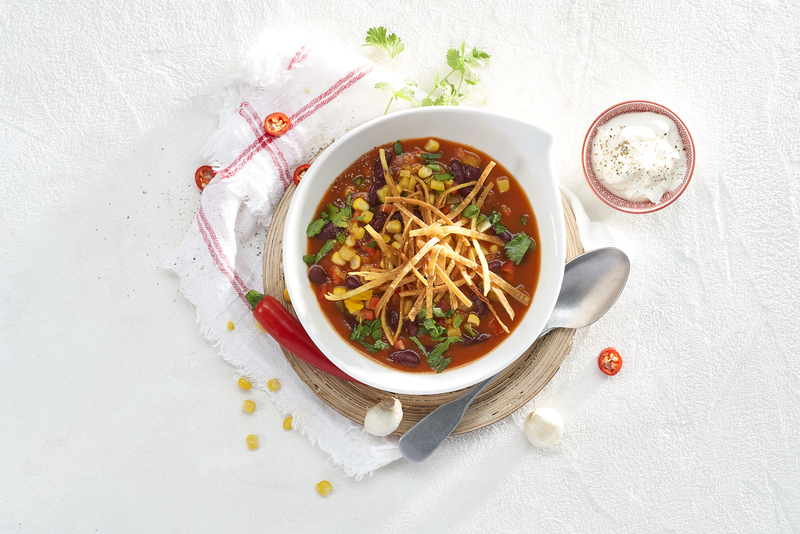 Serve the soup and finish with the crispy Poco Loco corn tortilla strips. Sprinkle some extra chopped coriander on top, according to taste, and serve with a bit of sour cream (optional).